Welcome to VAM Studios' NEW Family/Student Web Registration Page! Please click the button below to enroll in classes! I choose to have myself and/or my child participate in dance instruction at VAM Studios. I acknowledge that I understand the nature of the activities that I and/or my child will be participating in, and the possibility that despite precautions, accidents and/or physical injury may occur. I/we agree to release and hold harmless VAM Studios including owners, directors, teachers and staff members from any cause of action, claims, or demands now and in the future. I/we will not hold VAM Studios liable for any personal injury or any personal property damage or loss, which may occur on the premises before, during or after classes, or which may occur at any VAM Studios' sponsored event outside the studio. All students are required to be covered by their own insurance policies. If any injury occurs, it is understood that the student's own policy is the only source of reimbursement. I hereby state that I have carefully read the above waiver. Acceptance and understanding of this agreement are hereby acknowledged. In the event of an emergency or non-emergency situation requiring medical treatment, I hereby grant permission for any and all medical attention to be administered to my child/children in the event of an accidental injury or illness, until such time as I can be contacted. This permission includes, but is not limited to, the administration of medical treatments and/or procedures deemed necessary under the recommendation of qualified medical personnel. I understand that the VAM Studios staff cannot administer emergency medical treatment, therefore in the case of an emergency, VAM Studios' staff will call 911. I will assume all responsibility for payment(s) of medical treatment. VAM Studios will not be responsible for any medical costs. I understand that VAM Studios may take photos or videos of students for archival documentation and/or promotional materials for the studio. Tuition is based on the number of class hours per STUDENT per week. By registering your child for any of our youth classes, you are agreeing to be a part of VAM Studios' "Youth Program". 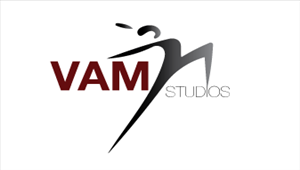 If you choose the "monthly" payment option you must have a credit card on file with VAM Studios. (You can add your credit card information near the bottom of this registration page.) All accounts being billed "monthly" will be set to Auto-Pay and will have payments automatically made on the first business day of each month of the semester your child is enrolled in. payment is made after the 10th of the month. If payment is not made by the 20th of the month, the student will not be allowed to attend class. -Please make checks payable to "VAM Studios"
Adult classes are paid for either by individual class (drop-in) or at a discounted rate with a class card. Class cards are valid for 90 days from the date of purchase. There are no refunds for unused classes. All class change or cancellation of enrollment requests must be made in writing and delivered to the office. Requests can be submitted by mail, in person, or by email. We ask that students miss no more than 4 classes per semester. Regular attendance is important for a dancer's physical and mental health and well-being; among other benefits, it helps build self-confidence, discipline, and friendships.